The goal of the BeSSCR is to promote research on and with stem cells in the broadest meaning. Offering a forum for interaction between researchers working on all different aspects of stem cell biology. 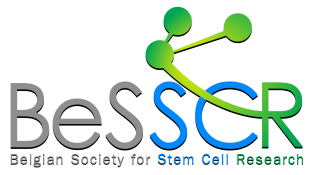 The BeSSCR wants to create a network grouping basic, translational and clinical research on all different types of stem cells. Making the Belgian stem cell research known and promote it both within Belgium and internationally. Promoting collaboration with other international stem cell networks. Offering training possibilities for stem cell researchers. Being a point of contact for ethical and policy questions regarding stem cells and stem cell research.